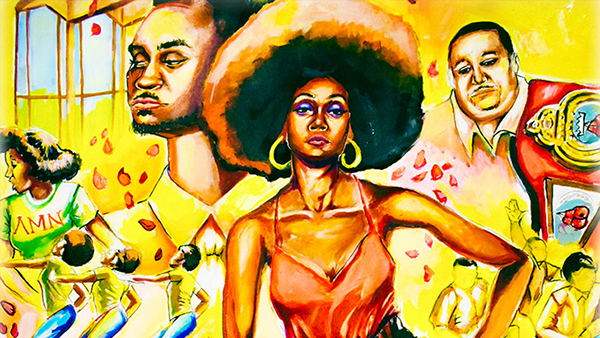 University Theatre will present its first-ever African-American musical “Carmen Jones” May 3 through 11 in the John Wright Theatre. This Fresno premiere is directed by Professor Thomas-Whit Ellis and will feature an all African-American cast. The play is based on Henri Meilhac and Ludovic Halévy’s adaption of Prosper Merimee’s “Carmen,” written by Oscar Hammerstein II and music by Georges Bizet – but with a twist. The Fresno State production will, for the first time, be presented with a new, original concept. Ellis has updated the setting of the story from a 1940s parachute factory to a 1970s fictionalized version of a historically black college. During the 1970s, Joe, an ROTC student, is enrolled in college where Carmen Jones works at the campus cafeteria. Carmen manages to steal Joe away from his fiancée and the ROTC, and they run off to Chicago together. But the fickle Carmen loses interest in Joe when she meets and successfully woos Husky Miller, a prizefighter on his way to the top. Mad with jealousy, Joe waits for Carmen outside the stadium the night of Husky’s big fight to make a last desperate plea for her love. When she denies him resolutely, he stabs her to death in a rage of passion to the eerie accompaniment of the crowd inside the stadium cheering on Husky’s victory. Visit Fresno State News to read more.